Here is the list of the hotels near Marseille. Book your hotel near Marseille today, Thursday 16 May for the best price, reservation and cancellation free of charge thanks to our partner Booking.com, leader in on-line hotels reservation. Below here is the list the 50 closest hotels of Marseille, sortable according your criteria. You will find the position of these accommodations on the Marseille hotels map. Guest accommodation Marseille Preferred hotel ! Apartment Marseille Preferred hotel ! Located 1.9 km from Saint-Ferreol Street, Steph is set in Saint-Charles of Marseille. This property is 2.2 km from Les Terrasses du Port Shopping Centre. The apartment features 2 separate bedrooms and includes a kitchen with a dishwasher and a dining area. A flat-screen TV with cable channels is provided. Museum of European and Mediterranean Civilisations is 2.3 km from the apartment, while Palais du Pharo is 3.7 km away. The nearest airport is Marseille Provence Airport, 28 km from the property. Bed and Breakfast Marseille Preferred hotel ! Located in the centre of Marseille, Odalys City Marseille Canebière offers self-catering accommodation. This accommodation is just 700 metres from Marseille Vieux Port and 850 metres from Saint-Charles Train Station. The non-smoking, sound-proofed apartments offer a flat-screen TV and free WiFi access. The bathroom is complete with a shower, toilet and free toiletries. The fully equipped kitchenette comes with tea and coffee making facilities, a microwave and a refrigerator. Restaurants and bars can be found within walking distance. A continental breakfast is available on a morning including pastries, cereal, eggs, tea and coffee. There is a tram stop in front of the residence and this property is 50 metres from Canebière's famous street and 3 km from the beach. Marseille Provence Airport is 26 km away. Public paid parking can be found a 4-minute walk away. Hotel Marseille Preferred hotel ! Located in Marseille, this apartment features free WiFi. The unit is 2.3 km from Palais du Pharo. The kitchen has a dishwasher, an oven and a microwave, as well as a coffee machine. Towels and bed linen are featured in this apartment. Velodrome Stadium is 3.4 km from Square Stalingrad Duplex, while La Canebiere is 100 metres away. The nearest airport is Marseille Provence Airport, 20 km from the property. Beau T2 coeur de ville - COURS JULIEN/CASTELLANE is set in Marseille. The accommodation is 1.2 km from the Saint-Ferreol Street. The apartment includes 1 bedroom, a kitchen with an oven and a microwave, as well as a coffee machine. A flat-screen TV is provided. Notre-Dame de la Garde Basilica is 2.3 km from the apartment, while Marseille Chanot Exhibition and Convention Centre is 3.1 km away. Marseille Provence Airport is 29 km from the property. Kyriad Marseille Blancarde - Timone offers accommodation in Marseille. It features a swimming pool, a fitness centre and a bar. The property is 4 km from the Old Port of Marseille. Free WiFi is included. Every room at this hotel is air conditioned and has a flat-screen TV. All rooms are equipped with a private bathroom fitted with a bath or shower. Extras include free toiletries and a hairdryer. You will find a 24-hour front desk at the property. Velodrome Stadium is 4 km from Kyriad Marseille Blancarde - Timone, while Palais du Pharo is 4.5 km away. The nearest airport is Marseille Provence Airport, 28 km from Kyriad Marseille Blancarde - Timone. Hipark by Adagio Marseille offers self-catering accommodation with hotel services in the heart of Marseille, 500 metres from Timone Metro Station, which leads directly to the Old Port and Saint-Charles Train Station. Parc Chanot congress center and the Velodrome Stadium are 3.5 km away. Guests can enjoy a sauna and a fitness room on site. An LCD TV and air conditioning feature in all of the contemporary studios and suites. All accommodation at Hipark by Adagio Marseille has lift access and internet access, and the suites have a seating area, a safe and flat-screen TV. The kitchens are equipped with a stovetop, microwave, dishwasher and kitchenware. A buffet breakfast is served every morning in the dining room or, in summer, on the terrace. Additional facilities at Hipark by Adagio Marseille include a launderette and a 24-hour reception. Private parking is possible on site at an extra cost and Marseille Provence Airport is 29 km away. This B&B is set in a three-storey Provençal farmhouse and features en suite accommodations with a country décor, an outdoor swimming pool and a hot tub. Notre-Dame du Mont Metro Station is 220 metres away and Velodrome Stadium is 3 km from the property. With antique furniture, each room at Un Mas en Ville includes a private bathroom with bathrobe, hairdryer and shower. Free WiFi is provided throughout. Homemade jams, honey, traditional gingerbread, brioches and pastries are served in the organic breakfast. A common kitchen is at guests’ disposal if they want to cook their own meals. The Opéra is a 10-minute walk away and Notre-Dame de la Garde Basilica is 2 km away. Marseille Saint-Charles Train Station is 1.6 km away and the A7 Motorway access is a 6-minute drive from Un Mas en Ville. Public parking is available nearby for an extra charge. Located in Marseille, Appartement de Curiosites is a self-catering accommodation featuring free WiFi. The property is 1.6 km from the Old Port of Marseille and from Notre-Dame de la Garde Basilica. The apartment offers a seating area, a TV and a washing machine. There is a full kitchen with a dishwasher and a microwave. The private bathroom has a bath. You can enjoy city views. Appartement de Curiosites is 1.5 km from Marseille Saint-Charles Train Station and 26 km from Marseille Provence Airport. Set in Marseille, Le Lodi offers accommodation within 1.1 km of Saint-Ferreol Street. Complimentary WiFi is provided. Palais du Pharo is 2.7 km from the apartment. Marseille Provence Airport is 29 km from the property. Maison- Appart La Mistoune offers accommodation in Marseille, 2.9 km from Velodrome Stadium. The property features views of the garden and is 3.8 km from Palais du Pharo. Free WiFi is available throughout the property. There is a dining area and a kitchenette complete with a microwave and a toaster. Towels and bed linen are offered in this self-catering accommodation. There is a shower room. Palais Longchamp is 1.4 km from Maison- Appart La Mistoune , while La Canebiere is 2.2 km away. La Timone Hospital is a 10-minute walk from the property. You can engage in various activities, such as golfing and snorkelling. Marseille Provence Airport is 22 km away. Joli T2 coloré près du Cours Julien - Air Rental offers accommodation in Marseille, 1.5 km from Saint-Ferreol Street and 3 km from Palais du Pharo. This property is 3.1 km from Notre-Dame de la Garde Basilica. With free WiFi, this apartment features a satellite TV and a kitchen with an oven and microwave. The apartment also offers 1 bathroom with a shower and a washing machine. Museum of European and Mediterranean Civilisations is 3.4 km from the apartment. The nearest airport is Marseille Provence Airport, 29 km from the property. Located in the heart of Marseille, just a 10-minute walk from the Old Port, Hôtel de l'Ariana offers contemporary air-conditioned rooms and free Wi-Fi access throughout the hotel. Noailles Metro Station is 140 metres away. All rooms feature flat-screen TVs with satellite channels, ironing facilities and a bathroom with shower and free toiletries. Certain rooms feature a walk-in shower or a shared toilet. Guests can enjoy a continental breakfast served in the room, while restaurants are less than 1 km away. The Plage du Prado beach is a 15 minute journey by car from Hôtel de l'Ariana. Marseille Saint-Charles Train Station is located 600 metres from the property and Marseille Provence Airport is a 25-minute drive from the hotel. Maison Cours Julien offers accommodation in Marseille, 1.6 km from Saint-Ferreol Street and 3.1 km from Palais du Pharo. Guests staying at this apartment have access to free WiFi. This apartment features 2 bedrooms, a satellite flat-screen TV, a dining area, and a kitchen with a dishwasher and an oven. The property also has 1 bathroom with a hair dryer. The apartment offers a barbecue. Maison Cours Julien provides a terrace. Notre-Dame de la Garde Basilica is 3.2 km from the accommodation, while Les Terrasses du Port Shopping Centre is 3.3 km away. Marseille Provence Airport is 29 km from the property. Set in Marseille, 3.5 km from Saint-Ferreol Street, ClubLord - Appartement - Jardin & Véranda - Proche Tramway features a living room with a TV, and free WiFi. This apartment provides accommodation with a terrace. This apartment is fitted with 2 bedrooms, a living room and a fully equipped kitchen with an oven. The apartment offers a barbecue. Guests can relax in the garden at the property. Les Terrasses du Port Shopping Centre is 3.8 km from Jardin & Véranda, while Marseille Chanot Exhibition and Convention Centre is 3.9 km from the property. Marseille Provence Airport is 30 km away. Located within 3.1 km of Saint-Ferreol Street and 3.6 km of Les Terrasses du Port Shopping Centre in Marseille, Home Marie provides accommodation with free WiFi. There is a fully equipped private bathroom with shower and free toiletries. A continental breakfast is available every morning at the property. Guests can also relax in the shared lounge area. Museum of European and Mediterranean Civilisations is 3.6 km from the bed and breakfast, while Marseille Chanot Exhibition and Convention Centre is 3.9 km away. The nearest airport is Marseille Provence Airport, 29 km from HOME MARIE. Perrin Solliers Apartment offers accommodation in Marseille, 1.8 km from Saint-Ferreol Street and 2.9 km from Notre-Dame de la Garde Basilica. It is situated 3.1 km from Marseille Chanot Exhibition and Convention Centre and offers free WiFi. This apartment comes with 1 bedroom, a living room and a fully equipped kitchen with an oven. A flat-screen TV is provided. Palais du Pharo is 3.3 km from the apartment. The nearest airport is Marseille Provence Airport, 30 km from Perrin Solliers Apartment. 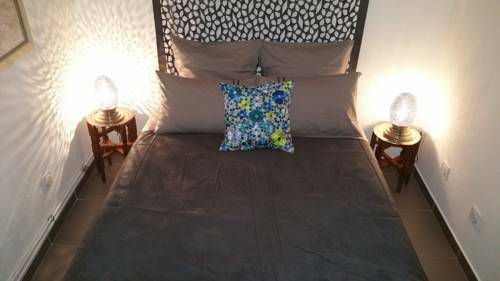 Offering free WiFi, B&B - Comme à la Maison is located in Marseille, 100 metres from Longchamp Park and 650 metres from Palais Longchamp. Notre-Dame de la Garde and Marseille's port are within 3 km from the property. The room has a flat-screen TV and a terrace and outdoor furniture. The private bathroom has a shower and a hairdryer. At B&B - Comme à la Maison you will find a private garden. Wellness treatments can be provided for a surcharge. The bed and breakfast is a 3-minute walk from Cinq Avenues Longchamp Metro Station and 300 metres from Cinq Avenues Tramway Station. Marseille Provence Airport is 26 km away. 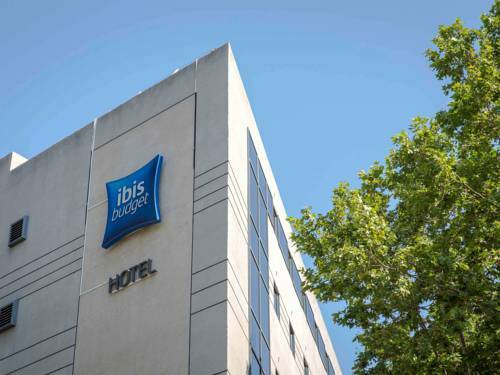 Ibis Budget Marseille Timone is located in Marseille, a 5-minute walk from Vallier Stadium. Free WiFi access is available. Private bathroom also comes with a shower. The property is 3 km from Le Dôme Concert Hall, Vélodrome Stadium and Parc Chanot. The hotel is 500 metres from La Timone Metro Station, 1.7 km from Castellane Metro Station and 2.1 km from Vieux Port Metro station. Marseille Provence Airport is 22 km away. B&B Marseille La Timone is a modern and design hotel located in Marseille, 10 minutes from the Velodrome Stadium and 15 minutes from Vieux Port. It offers free Wi-Fi access. Each soundproofed and air-conditioned rooms is equipped with flat-screen TV and a personal safe. All rooms have a private bathroom. There is a 24-hour front desk service and a buffet breakfast is served daily in Marseille Timone’s breakfast room. B&B Marseille La Timone is 400 metres from Metro La Timone, which can take guests all around Marseille to the seaside and to sights such as the Old Port, Notre-Dame de la Garde and Longchamp Park. Public parking is available at a location nearby and charges may apply. Hôtel Azur is set a 3-minute walk from La Canebière, just 350 metres from Réformés Canebière Metro. It has a shaded outdoor patio surrounded by a Mediterranean garden. Rooms have free WiFi. Accessed via a staircase, each of the Azur’s guest rooms is air-conditioned and has a private bathroom with free toiletries and a TV with satellite channels. A continental breakfast is available in the mornings, which be enjoyed outside in summer. There are numerous restaurants and bars situated within walking distance of the Azur. Hôtel Azur has a 24-hour reception and is situated just a 10-minute walk from Marseille-Saint-Charles SNCF Train Station. The A7 is a 5-minute drive away and private parking is available. Appartement bourgeois offers accommodation in Marseille, 2.8 km from Saint-Ferreol Street and 3.2 km from Les Terrasses du Port Shopping Centre. Free WiFi is available. This apartment features a living room and a fully equipped kitchen with a dishwasher. A flat-screen TV is offered. Museum of European and Mediterranean Civilisations is 3.4 km from the apartment. Marseille Provence Airport is 29 km away. Set in Marseille, 2.9 km from Saint-Ferreol Street and 3.3 km from Les Terrasses du Port Shopping Centre, Appartement du Palais Longchamps offers free WiFi. This apartment is 3.4 km from Museum of European and Mediterranean Civilisations and 5 km from Palais du Pharo. The apartment has 2 bedrooms, a flat-screen TV and a fully equipped kitchen that provides guests with a dishwasher, an oven, a washing machine, a microwave and a toaster. Hiking can be enjoyed nearby. Notre-Dame de la Garde Basilica is 5 km from the apartment. Marseille Provence Airport is 29 km from the property. Le Ryad is located in the heart of Marseille, just 50 metres from La Canebiere and 1 km from the Old Port. It offers Moroccan-style accommodation with free Wi-Fi internet access. Built in the style of a traditional riad, with a courtyard and garden, Le Ryad offers a range of uniquely decorated rooms, accessed through a staircase. Each is equipped with air conditioning and a private bathroom. The hotel’s restaurant is open from Thursday to Saturday (by prior reservation) and serves traditional Moroccan cuisine. There is a tea salon open daily that serves mint tea, fruit juices and Moroccan pastries. There are 2 breakfast options, a simple one and another one including fresh orange juice, fresh fruit salad, Moroccan crepe, yoghurt, croissants, bread, butter, honey, jam and hot beverage. Le Ryad is 300 metres from the Reformés Canebiere Metro Station, and 850 metres from the Marseille Saint-Charles Train Station. Public parking is available 100 metres from the property. Located 3.1 km from Les Terrasses du Port Shopping Centre and 3.3 km from Saint-Ferreol Street, Apartment Boulevard Cassini features accommodation situated in Marseille. Guests staying at this apartment have access to a fully equipped kitchen and a balcony. Museum of European and Mediterranean Civilisations is 3.7 km from the apartment. The nearest airport is Marseille Provence Airport, 29 km from Apartment Boulevard Cassini. Just 200 from the Hôpital de la Timone in Marseille, ibis Marseille Timone offers modern accommodation with free Wi-Fi, a bar serving snacks 24 hour a day, a terrace and meeting rooms. The hotel’s rooms all feature a desk and a flat-screen TV. Their private bathroom is fitted with a shower and hairdryer. A buffet breakfast composed of sweet and savoury dishes such as eggs, fruit salad, yogurts and juices is served every day. Pastries baked on site and fresh French Madeleine cakes are also on offer, as well as a hot beverage and a piece of fruit to take away. Outside of regular breakfast hours guests can also enjoy a lighter option, available from 04:00. They can also dine out at the hotel’s restaurant. La Timone Metro Station offers connection to Line 1, just 230 metres away. Le Dôme Amphiteatre is 4.2 km away, while the Vélodrome Stadium and Marseille Saint-Charles Train Station are a 15-minute travel away by metro. Coquet appartement avec terrasse ! Set in Marseille, 2.2 km from Saint-Ferreol Street, 2.2 km from Les Terrasses du Port Shopping Centre and 2.8 km from Museum of European and Mediterranean Civilisations, Coquet appartement avec terrasse! offers accommodation with a terrace and free WiFi. Guests staying at this apartment have access to a fully equipped kitchen. The apartment is fitted with a flat-screen TV and a living room. Notre-Dame de la Garde Basilica is 4.2 km from the apartment, while Palais du Pharo is 4.2 km away. The nearest airport is Marseille Provence Airport, 28 km from Coquet appartement avec terrasse!. Set 1.9 km from Saint-Ferreol Street, Appartement 1 Chambre Vieux Port offers accommodation in the heart of Marseille. The accommodation is 2.2 km from Les Terrasses du Port Shopping Centre. This apartment has a living room and a fully equipped kitchen with an oven and a microwave. A flat-screen TV is provided. Museum of European and Mediterranean Civilisations is 2.4 km from the apartment, while Palais du Pharo is 3.7 km from the property. The nearest airport is Marseille Provence Airport, 28 km from the property. Le Petit Palais in Marseille features accommodation with free WiFi, 1.7 km from Saint-Ferreol Street and 2.3 km from Les Terrasses du Port Shopping Centre. Guests staying at this apartment have access to a fully equipped kitchen. The apartment includes a living room and a bathroom with a hair dryer. A flat-screen TV is offered. Museum of European and Mediterranean Civilisations is 2.8 km from the apartment, while Notre-Dame de la Garde Basilica is 2.8 km from the property. The nearest airport is Marseille Provence Airport, 21 km from the property. Situated 2.1 km from Saint-Ferreol Street and 3 km from Les Terrasses du Port Shopping Centre, La cigale et la sardine provides accommodation located in Marseille. The Museum of European and Mediterranean Civilisations is within 3.1 km of the apartment. The apartment is fitted with 1 bedroom and a fully fitted kitchen with an oven. The property also has 1 bathroom with a shower. Palais du Pharo is 3.6 km from the apartment. The nearest airport is Marseille Provence Airport, 29 km from La cigale et la sardine. Marseille Chapitre in Marseille features accommodation with free WiFi, 2 km from Saint-Ferreol Street, 2 km from Les Terrasses du Port Shopping Centre and 2.6 km from Museum of European and Mediterranean Civilisations. The property is 3.8 km from Palais du Pharo and 4 km from Notre-Dame de la Garde Basilica. The apartment features 1 bedroom, a living room, a fully equipped kitchen with an oven and a dining area, and a bathroom. A flat-screen TV is provided. The nearest airport is Marseille Provence Airport, 28 km from the apartment. Le Studio des Artistes is located in the centre, a 12-minute walk from the harbour. This bright studio is decorated in a modern style and offers a furnished terrace as well as a flat-screen, cable TV. The bathroom of the accommodation is fitted with a shower. The soundproofed studio features tiled flooring and includes a fan. The kitchenette provides a coffee machine, an electric kettle and a toaster. Grocers and restaurants can be found within a walking distance. The studio is situated 50 metres from Cours Julien and 2 km from Saint-Charles Train Station. There is a public car park at a location nearby, available at a surcharge. Located in Marseille, just 1.5 km from Saint-Ferreol Street, Chez lolo offers accommodation with free WiFi. The air-conditioned accommodation is 3 km from Palais du Pharo. The apartment comes with a flat-screen TV and 1 bedroom. The apartment also comes with a well-equipped kitchen with an oven, a microwave and a fridge, as well as a a hair dryer. Notre-Dame de la Garde Basilica is 3.2 km from the apartment, while Marseille Chanot Exhibition and Convention Centre is 3.2 km away. The nearest airport is Marseille Provence Airport, 29 km from the property. Situated 1.8 km from Saint-Ferreol Street in Marseille, C2 House Marseille City offers accommodation with a kitchen. Free WiFi is offered. This apartment with garden views has 1 bathroom with a shower. A flat-screen TV is provided. Notre-Dame de la Garde Basilica is 2.9 km from the apartment, while Marseille Chanot Exhibition and Convention Centre is 3.1 km away. The nearest airport is Marseille Provence Airport, 30 km from C2 House Marseille City. Les Tilleuls offers accommodation in Marseille, 2.3 km from Saint-Ferreol Street and 2.5 km from Les Terrasses du Port Shopping Centre. This property is 3.1 km from Museum of European and Mediterranean Civilisations and features free WiFi. This 2-bedroom apartment comes with a kitchen, a seating area, and a satellite flat-screen TV. Both a bicycle rental service and a car rental service are available at the apartment. Palais du Pharo is 4.1 km from les Tilleuls, while Notre-Dame de la Garde Basilica is 4.3 km from the property. Marseille Provence Airport is 28 km away. Set in Marseille, 3.1 km from Les Terrasses du Port Shopping Centre and 3.3 km from Saint-Ferreol Street, Longchamp Panorama offers air conditioning. This property is 3.7 km from Museum of European and Mediterranean Civilisations. The apartment includes 3 bedrooms, a living room, and 1 bathroom with a hair dryer and a bath or shower. The kitchen is equipped with a dishwasher, an oven and a microwave, as well as coffee machine. Palais du Pharo is 5 km from the apartment, while Notre-Dame de la Garde Basilica is 5 km away. Marseille Provence Airport is 29 km from the property. Set 2.2 km from Saint-Ferreol Street, 2.2 km from Les Terrasses du Port Shopping Centre and 2.8 km from Museum of European and Mediterranean Civilisations, Toit terrasse centre provides accommodation located in Marseille. With city views, this accommodation features a terrace. With free WiFi, this apartment offers a satellite flat-screen TV and a kitchen with an oven and microwave. Notre-Dame de la Garde Basilica is 4.2 km from the apartment. The nearest airport is Marseille Provence Airport, 28 km from Toit terrasse centre. Offering a sun terrace and views of the garden, LE MAS DU POISSON - Mas d'Artiste is situated in the district of La Timone in Marseille. Free WiFi is offered throughout the property and free private parking is available on site. Every room includes a flat-screen TV. Some units include a seating area for your convenience. For your comfort, you will find slippers and a hairdryer. You will find a shared lounge at the property. Velodrome Stadium is 2 km from LE MAS DU POISSON - Mas d'Artiste, while Palais du Pharo is 3.6 km from the property. The nearest airport is Marseille Provence Airport, 23 km from the property. Situated in Marseille, within 2.3 km of Saint-Ferreol Street, le balzac is an accommodation offering city views. The Orange Velodrome Stadium is within 3.2 km of the apartment, and free WiFi is provided. The apartment is composed of a fully equipped kitchen, and 1 bathroom. A flat-screen TV is available. Notre-Dame de la Garde Basilica is 3.4 km from the apartment, while Marseille Chanot Exhibition and Convention Centre is 3.4 km away. Marseille Provence Airport is 30 km from the property. Le Balzac 2 in Marseille features accommodation with free WiFi, 2.5 km from Saint-Ferreol Street, 3.4 km from Marseille Chanot Exhibition and Convention Centre and 3.5 km from Orange Velodrome Stadium. Guests have a private terrace. Featuring city views, the apartment is composed of 1 bedroom and 1 bathroom with free toiletries and a hair dryer. A dishwasher and an oven can be found in the kitchen. Notre-Dame de la Garde Basilica is 3.6 km from the apartment. The nearest airport is Marseille Provence Airport, 30 km from the property. Located in Marseille, Appart. Centre Marseille features accommodation with a flat-screen TV. Free WiFi is available. All units comprise a seating area, a dining area, and a fully equipped kitchen with various cooking facilities, including a toaster, a fridge and a stovetop. Some units include a terrace and/or balcony. Continental and vegetarian breakfast options are available daily at the apartment. Saint-Ferreol Street is 1.6 km from Appart. Centre Marseille. The nearest airport is Marseille Provence Airport, 29 km from the property. Set in Marseille in the Provence-Alpes-Côte d'Azur region, Au cours Ju is a 2-star property featuring free WiFi. The property is 1 km from Saint-Ferreol Street and 2.5 km from Palais du Pharo. This air-conditioned apartment comes with 1 bedroom, a flat-screen TV, a dining area, and a kitchen with an oven and a microwave. Notre-Dame de la Garde Basilica is 2.7 km from the apartment, while Les Terrasses du Port Shopping Centre is 2.9 km away. The nearest airport is Marseille Provence Airport, 29 km from Au cours Ju. Located in Marseille, Appartement Design Meublé Marseille Centre Lonchamp is 2.7 km from Palais du Pharo. Velodrome Stadium is 3.4 km from the property. Free WiFi is provided. The accommodation comes with a seating area. Some units feature a terrace and/or balcony. There is a kitchen, fitted with an oven and microwave. A toaster and fridge are also available, as well as a coffee machine and a kettle. Each unit has a private bathroom with a hairdryer. Towels and bed linens are provided. Palais Longchamp is 600 metres from Appartement Design Meublé Marseille Centre Lonchamp. Marseille Provence Airport is 21 km away. Appartement design Marseille Longchamps & Vieux Port is situated in Marseille. Accommodation is fitted with air conditioning and features a flat-screen TV, a fully equipped kitchen with a dining area, and a private bathroom. An oven, a microwave and toaster are also provided, as well as a coffee machine. The apartment offers a continental or vegetarian breakfast. Saint-Ferreol Street is 2.7 km from Appartement design Marseille Longchamps & Vieux Port. Marseille Provence Airport is 29 km away. Set in Marseille, Appartement Marseille 5/5 provides accommodation within 2.2 km of Saint-Ferreol Street. Free WiFi is provided. All units comprise a seating area, a dining area, and a fully equipped kitchen with various cooking facilities, including a microwave, a toaster, a fridge and a stovetop. A continental breakfast is available every morning at the property. Les Terrasses du Port Shopping Centre is 2.7 km from the apartment, while Museum of European and Mediterranean Civilisations is 2.7 km away. The nearest airport is Marseille Provence Airport, 29 km from Appartement Marseille 5/5. Chambre avec cuisine meublé Marseille Vieux-port&Lonchamp is set in Marseille, 2.7 km from Saint-Ferreol Street, 3.2 km from Les Terrasses du Port Shopping Centre, as well as 3.2 km from Museum of European and Mediterranean Civilisations. The Palais du Pharo and the Notre-Dame de la Garde Basilica are within 5 km and 5 km of the apartment, and free WiFi is provided. The nearest airport is Marseille Provence Airport, 29 km from the property. Appartement sous les toits Marseille Centre is an accommodation situated in Marseille, 2.1 km from Saint-Ferreol Street and 2.3 km from Les Terrasses du Port Shopping Centre. The Museum of European and Mediterranean Civilisations is within 2.5 km of the apartment, and free WiFi is provided. This apartment is equipped with 1 bedroom, a flat-screen TV, and a kitchen with a microwave and a toaster. Private parking is available at the apartment. Appartement sous les toits Marseill offers a continental or vegetarian breakfast. Palais du Pharo is 3.9 km from the accommodation, while Notre-Dame de la Garde Basilica is 4.1 km away. Marseille Provence Airport is 28 km from the property. Below here is the hotels map of Marseille. Names and details of Marseille hotels can be shown on the map clicking on the prices icons.